The 2008 Libertarian Party’s Vice Presidential nominee announced late last week via a letter published in the Independent Political Report that he was departing the Libertarian Party to join forces with the Republicans. Today I’m announcing the most important decision of my political career. Today I am stepping down from my roles in the LP, LNC, and LNCC. After six years of giving my heart and soul to our party, this decision does not come lightly. I leave with nothing but fond memories. I leave awed by the intensity, love, and loyalty of Libertarians, LP political candidates, LNC members, and LP leaders. FROM 6 JUNE 2012 TO 27 FEBRUARY 2013, I WAS AN ONLINE PARTICIPANT AT Personal Liberty Digest. BECAUSE OF THE SITE’S OWNER [Bob Livingston] I BECAME INTERESTED IN THE LIBERTARIAN PARTY; AND, I VOTED FOR Governor Gary Johnson IN NOVEMBER 2012. [Previously, I had always voted the Republican ticket]. 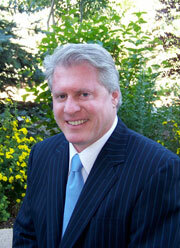 Wayne Allyn Root IS A Staff Writer AT, Personal Liberty Digest. IN ONLINE-VIDEO COMMENTARY, Mr. Root MADE THE STATEMENT [sic], “They called me Mr. Libertarian ….. I was the Number One candidate in fundraising.” IN THIS SAME VIDEO-COMMENTARY, Mr. Root STATED HE WAS GOING TO THE REPUBLICAN PARTY. I BELIEVE Mr. Root WENT TO THE REPUBLICANS BECAUSE HE KNEW Governor Mitt Romney DID NOT HAVE “a snowball’s chance in ‘hell’,” OF BEATING THE KENYAN. SO, AS FAR AS I AM CONCERNED, Mr. Root IS “spine-less” AND STANDS FOR NOTHING. [Every time I think about Governor Romney, I always think about his Mormonism and his unavoidable association with notorious polygamists like, Warren Jetts].